Raja Yoga encourages no sham, requires no physical postures. It has to deal with the inner man whose sphere lies in the world of thought. 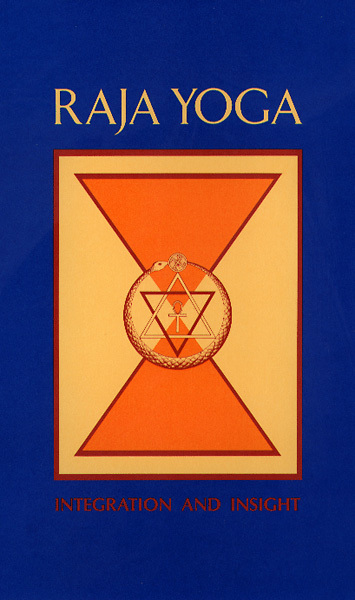 Raja Yoga consists of eight essays on the most exalted and exacting form of yoga. 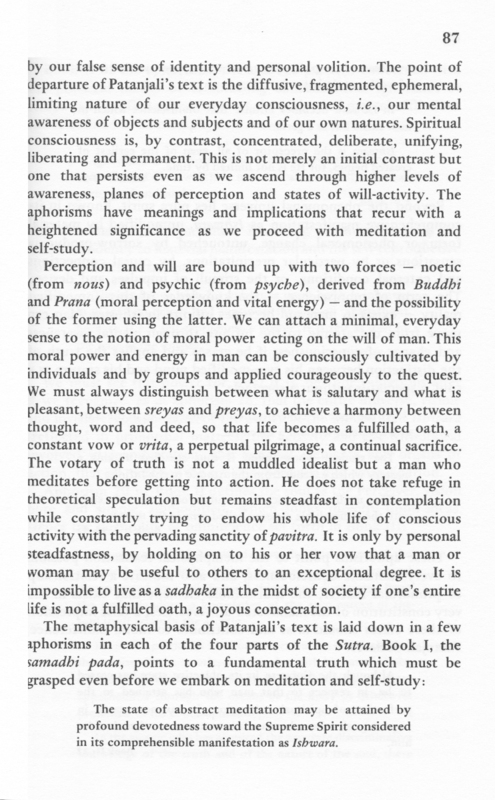 "Psychic and Noetic Action" by H.P. Blavatsky sets forth the fundamental distinction between creative and imitative consciousness in terms of volition and response, intuitive insight and passive suggestibility. 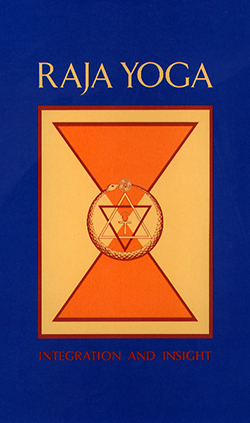 "Occultism Versus the Occult Arts" shows the vital difference between developing psychic powers and gaining spiritual wisdom, and "Chelas and Lay Chelas" and "Practical Occultism" indicate the mental and moral preparation needed to tread the path of Raja Yoga. 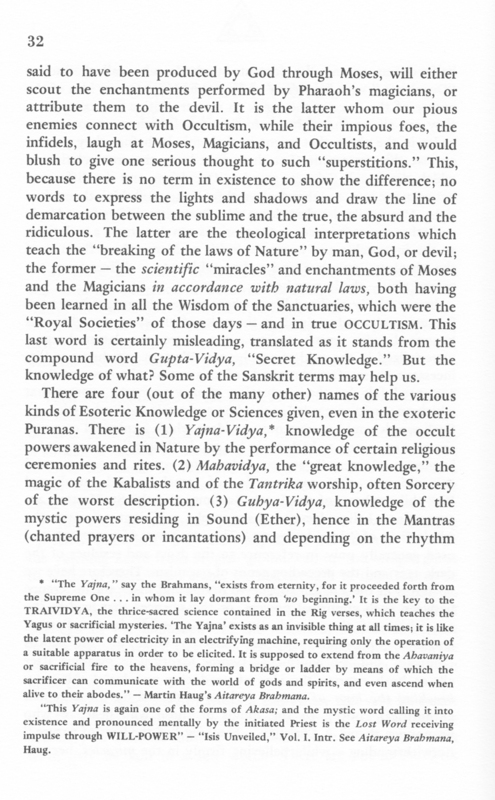 In "The Synthesis of Occult Science", W.Q. Judge conveys the principle of continuity in Nature and Man. 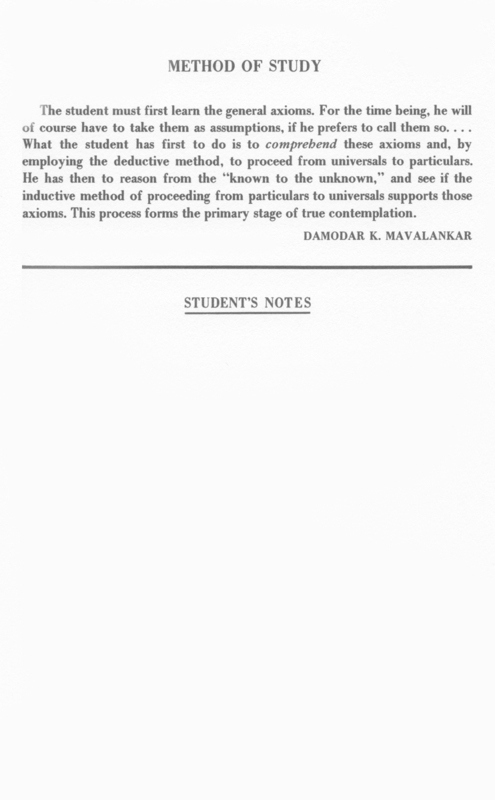 Its practical implications are suggested in "Culture of Concentration". 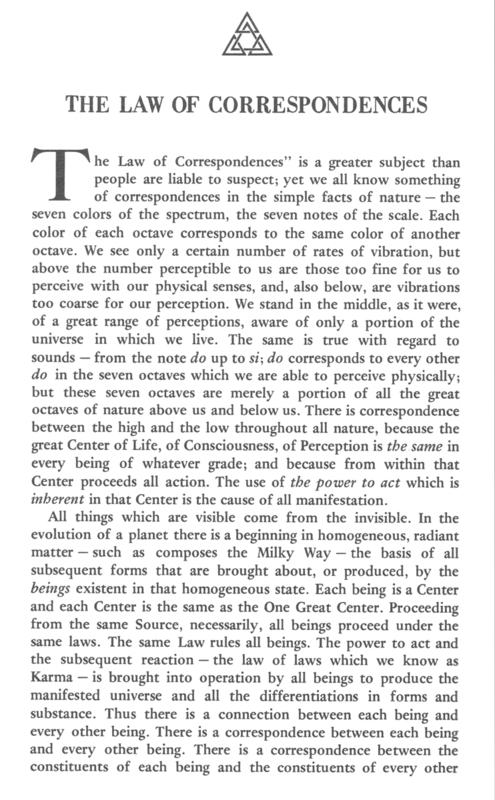 Robert Crosbie elucidates the basic method of spiritual discernment in "The Law of Correspondences". K.S. Lakshminarayan concludes the volume with "The Yoga Sutra of Patanjali", a helpful essay on a time-tested spiritual discipline. 93 pages. Softbound with dust jacket. ...since the metaphysics of Occult physiology and psychology postulate within mortal man an immortal entity, "divine mind," or Nous, whose pale and too often distorted reflection is that which we call "Mind" and intellect in men - virtually an entity apart from the former during the period of incarnation - we say that the two sources of "memory" are in these two principles. These two we distinguish as the Higher Manas (Mind or Ego), and the Kama-Manas, i.e., the rational, but earthly or physical intellect of man, incased in, and bound by, matter, therefore subject to the influence of the latter: the all-conscious SELF, that which reincarnates periodically - verily the WORD made flesh! - and which is always the same, while its reflected "Double", changing with every new incarnation and personality, is therefore, conscious but for a life-period. The latter "principle" is the Lower Self, or that, which manifesting through our organic system, acting on this plane of illusion, imagines itself the Ego Sum, and thus falls into what Buddhist philosophy brands as the "heresy of separateness." The former, we term INDIVIDUALITY, the latter Personality. From the first proceeds all the noetic element, from the second, the psychic, i.e., "terrestrial wisdom" at best, as it is influenced by all the chaotic stimuli of the human or rather animal passions of the living body. The impassable gulf between mind and matter discovered by modern science is a logical result of the present methods of so-called scientific investigation. These methods are analytical and hypothetical, and the results arrived at are necessarily tentative and incomplete. Even the so-called "Synthetic Philosophy" of Spencer is, at best, an effort to grasp the entire method and modulus of nature within one of its processes only. The aim is at synthesis, but it can hardly deserve the name of philosophy, for it is purely speculative and hypothetical. It is as though the physiologist undertook to study the function of respiration in man through the single process of expiration, ignoring the fact that every expiratory act must be supplemented by inspiration or respiration cease altogether. Taking, therefore, the facts of experience derived from the phenomena of nature and viewing both cosmic and organic processes purely from their objective side, the "missing links," "impassable gulfs," and "unthinkable gaps" occur constantly. Not so in Occult Science. So far as the science of occultism is concerned, it is both experimental and analytical, but it acknowledges no "missing links," "Impassable gulfs," or "unthinkable gaps," because it finds none. 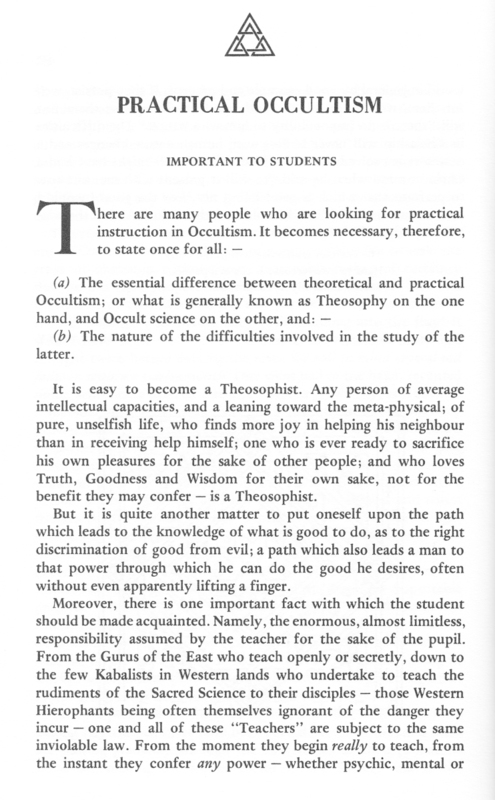 Back of occult science there lies a complete and all-embracing Philosophy. This philosophy is not simply synthetical in its methods, for the simplest as the wildest hypothesis can claim that much; but it is synthesis itself. It regards Nature as one complete whole, and so the student of occultism may stand at either point of observation. He may from the stand-point of Nature's wholeness and completeness follow the process of segregation and differentiation to the minutest atom conditioned in space and time; or, from the phenomenal display of the atom, he may reach forward and upward till the atom becomes an integral part of cosmos, involved in the universal harmony of creation. The modern scientist may do this incidentally or empirically, but the occultist does it systematically and habitually, and hence philosophically. The modern scientist is confessedly and boastfully agnostic. The occultist is reverently and progressively gnostic. Modern science recognizes matter as "living" and "dead", "organic" and "inorganic", and "Life" as merely a phenomenon of matter. Occult science recognizes, "foremost of all, the postulate that there is no such thing in Nature as inorganic substances or bodies. Stones, minerals, rocks, and even chemical 'atoms' are simply organic units in profound lethargy. Their coma has an end, and their intertia becomes activity." (Secret Doctrine, Vol. I, p. 626 fn.) Occultism recognizes ONE UNIVERSAL, ALL-PERVADING LIFE. Modern science recognizes life as a special phenomenon of matter, a mere transient manifestation due to temporary conditions. Even logic and analogy ought to have taught us better, for the simple reason that so-called "inorganic" or "dead" matter constantly becomes organic and living, while matter from the organic plane is continually being reduced to the inorganic. How rational and justifiable, then, to suppose that the capacity or "potency" of life is latent in all matter!